Spring is almost here. For more than 20 Years Rita’s Ice has celebrated the first day of spring by giving away free Italian Ice. It’s a Rita’s Tradition for kicking off the spring season and spreading a little happiness to their customers. 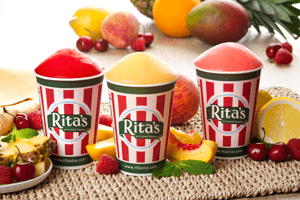 Come get your FREE Italian Ice Wednesday, March 20 from noon to 9 pm at your local Rita’s. The first day of spring only comes around once a year, so make it delicious!